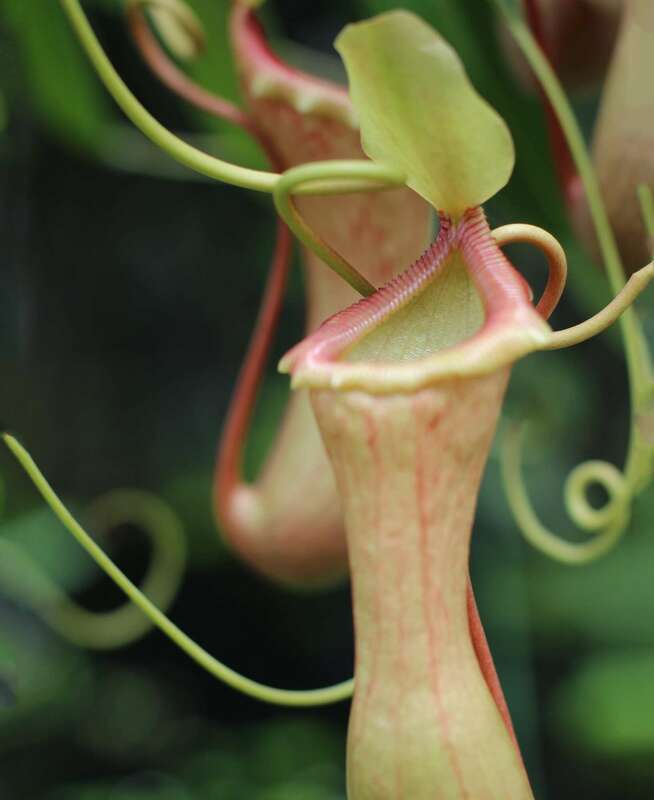 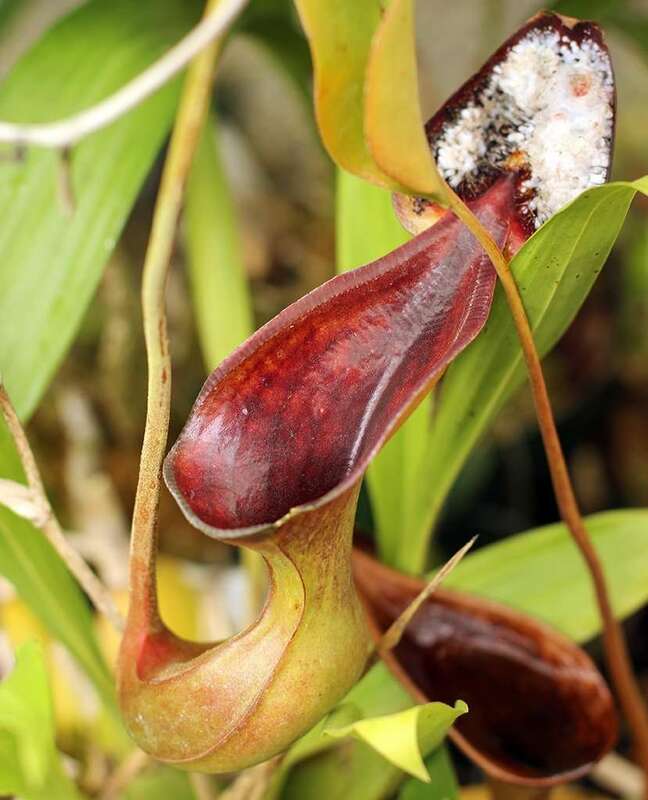 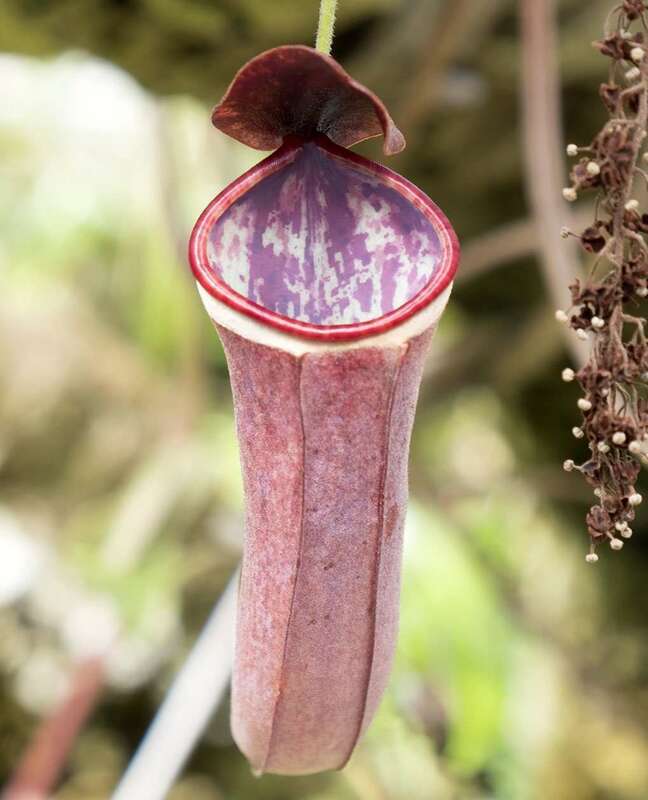 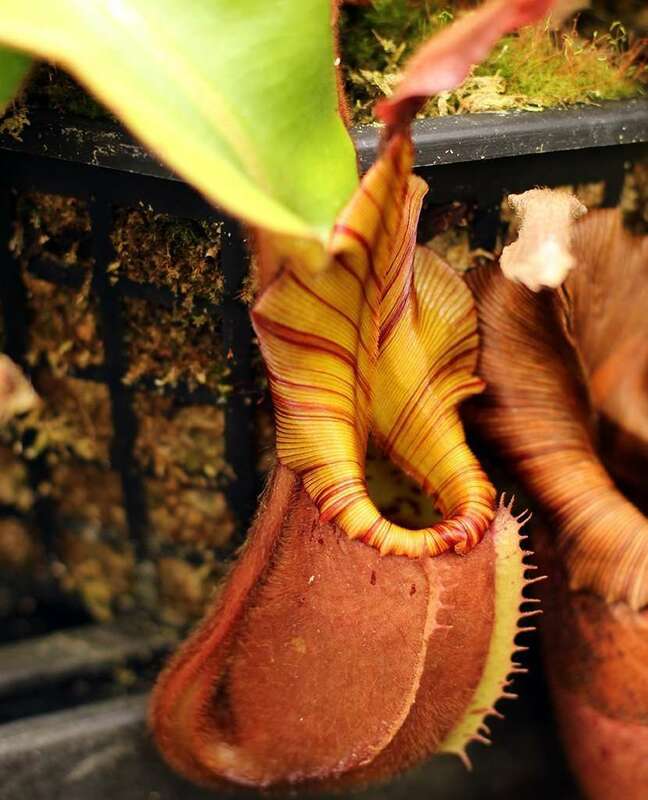 Nepenthes robcantleyi has a peristome that you could serve dinner off of, a pitcher volume you could cary 2 liters of soda in, and a hunger that will decimate annoying insects. 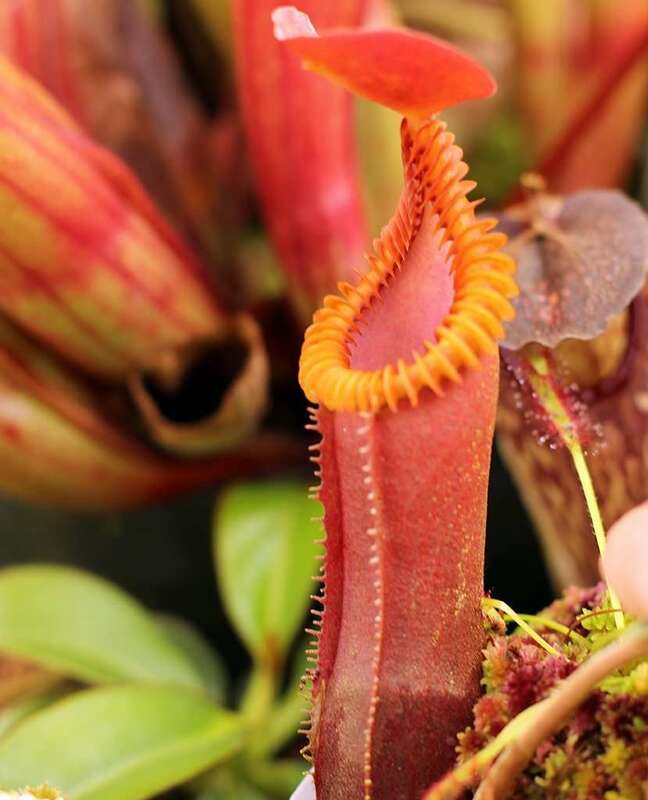 It’s pretty much the perfect picnic guest. 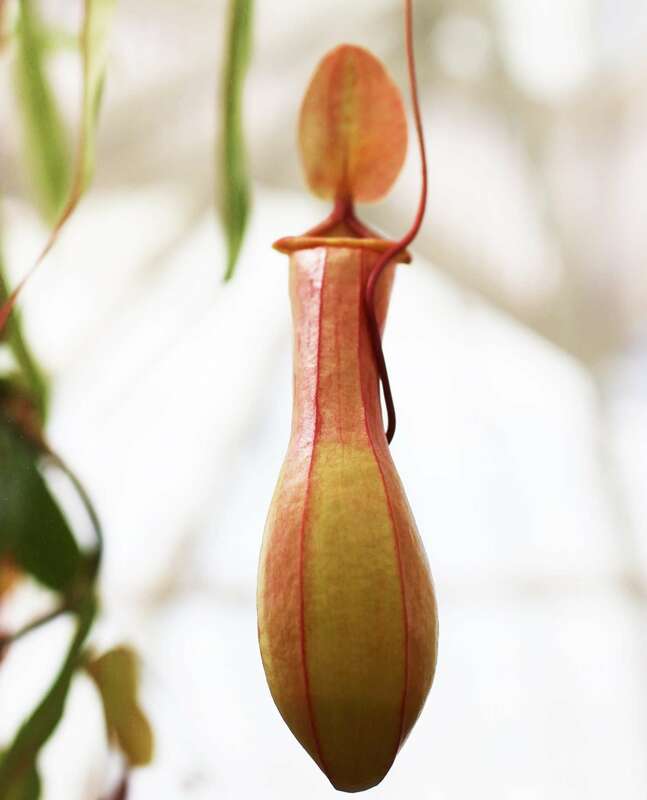 N. robcantleyi is now considered a separate species altogether after Botanist Martin Cheek described it in 2011. 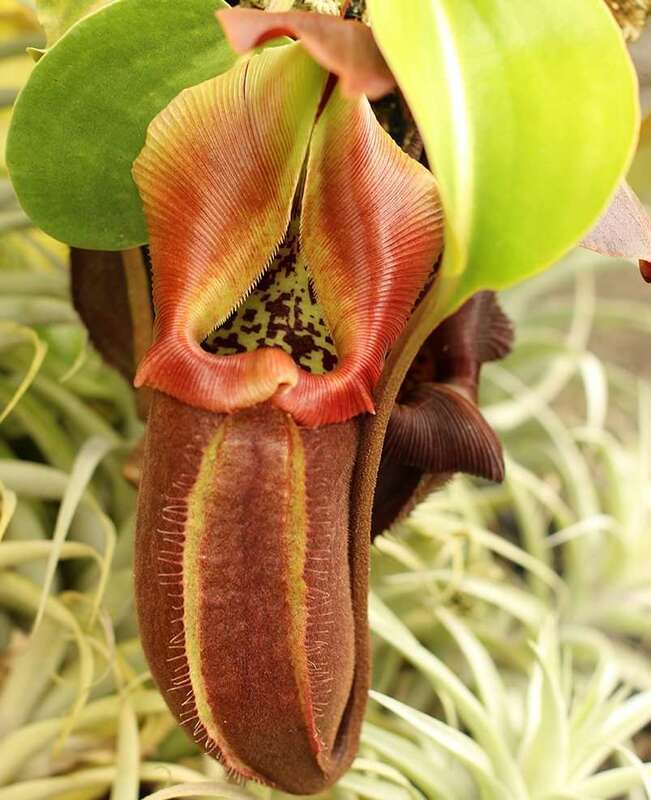 It is thought to be related to N. veitchii, another flamboyant and beautiful tropical pitcher plant. 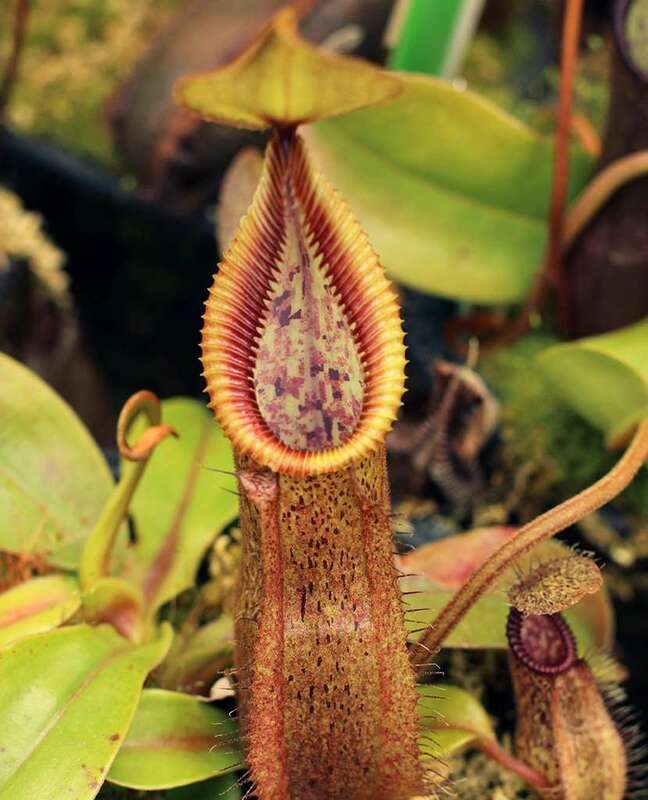 Explorations around N. robcantleyi being an F1 natural hybrid between N. truncata and N. veitchii have been considered, but mostly ruled out. 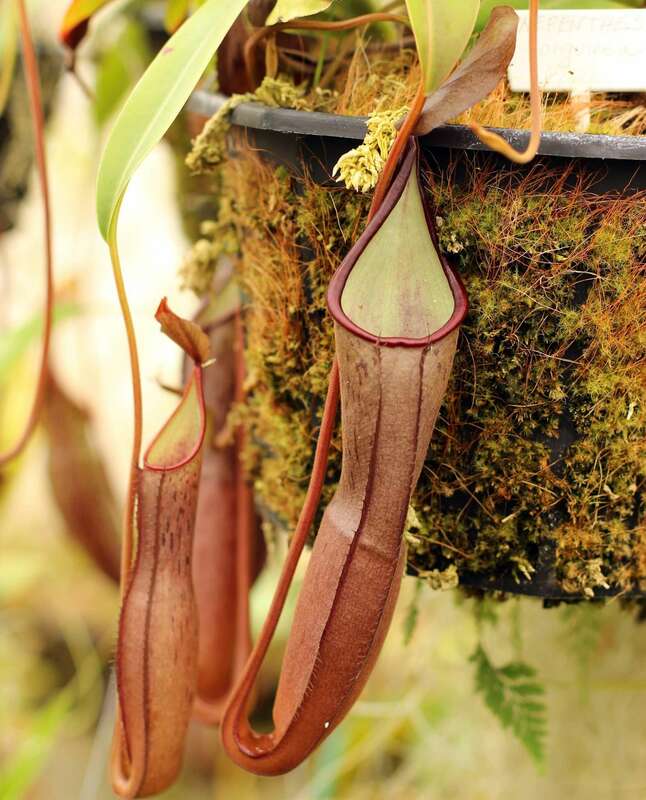 Update: In the June 2017 publication of Carnivorous Plant Newsletter (Volume 46, No. 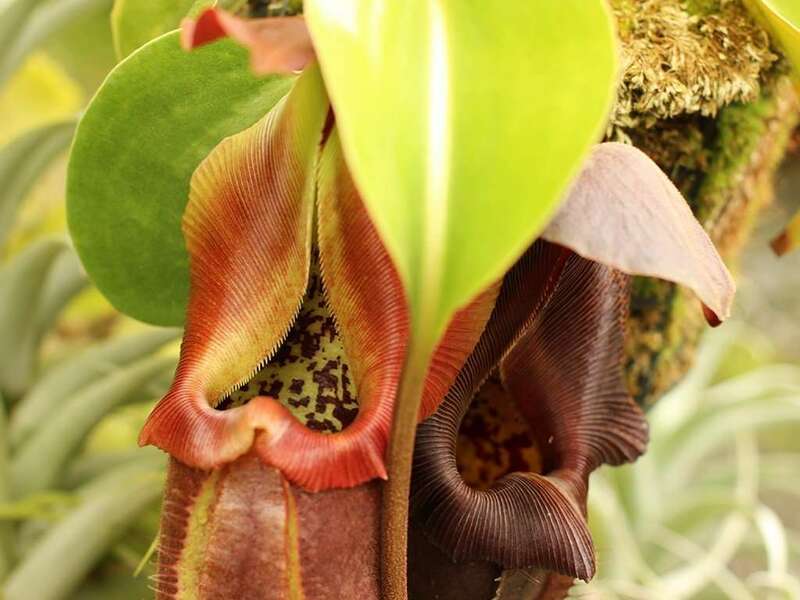 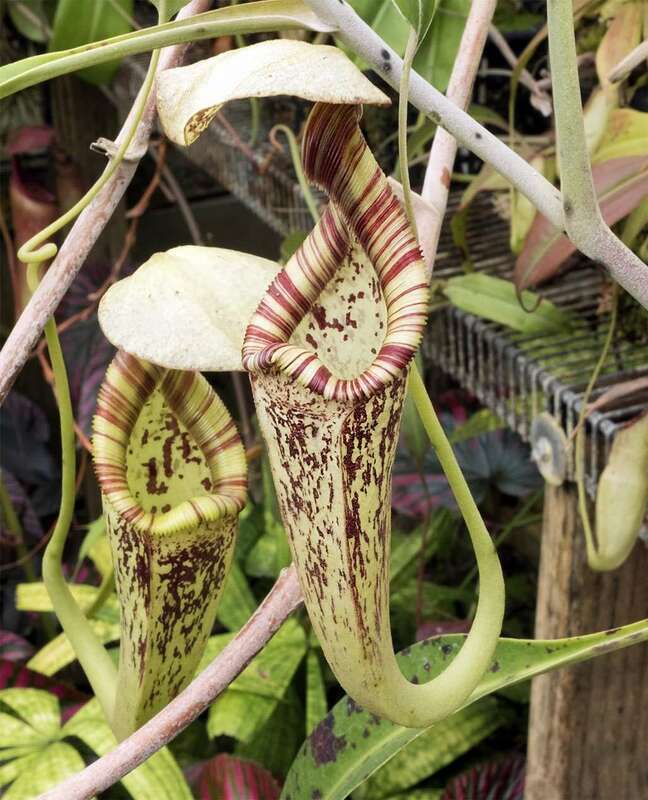 2), Geoff Mansell and Wally Suarez convincingly theorize that Nepenthes robcantleyi is, in fact N. x robcantleyi, a naturally occurring hybrid between N. truncata and N. nebularum (a more recently described species) or even a more complex hybrid involving these two tropical pitcher plants. 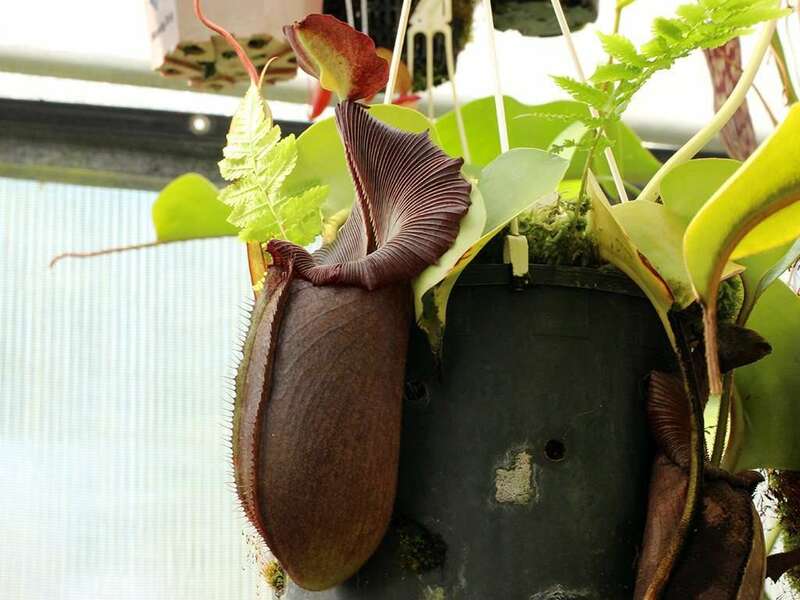 Their theory is based on observations of the erratic morphology of F2, or second generation, offspring from two N. robcantleyi parents. 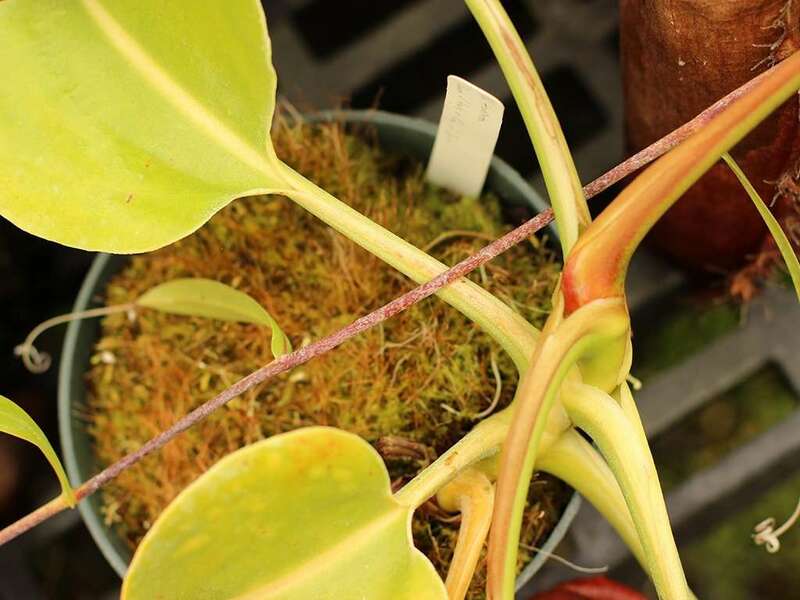 Some have morphology much closer to that of pure N. nebularum, while others appear much closer to N. truncata. 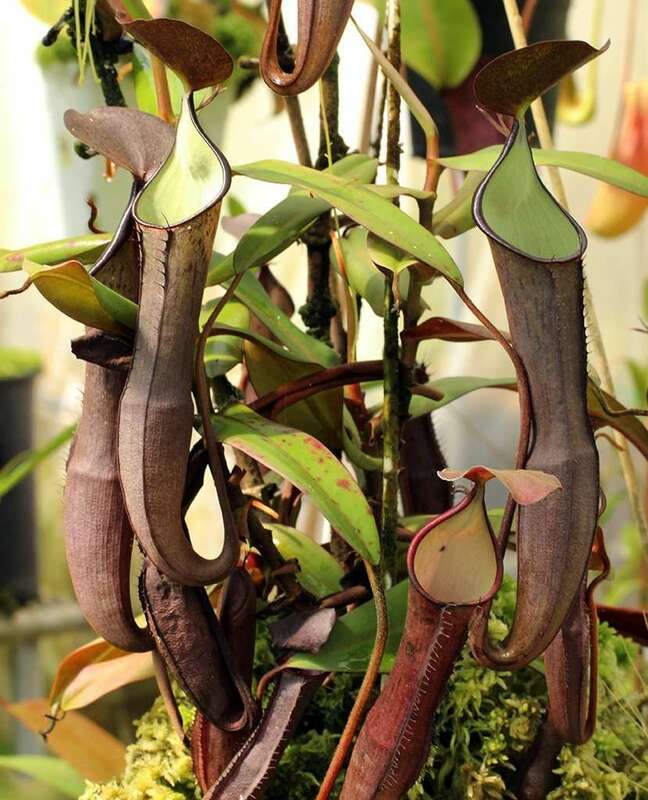 Offspring exhibit variable pitcher color – some green, others black, variable lid morphology, spur length, leaf shape and truncation, and overall pitcher shape – some squat and others narrow and green like N. truncata. 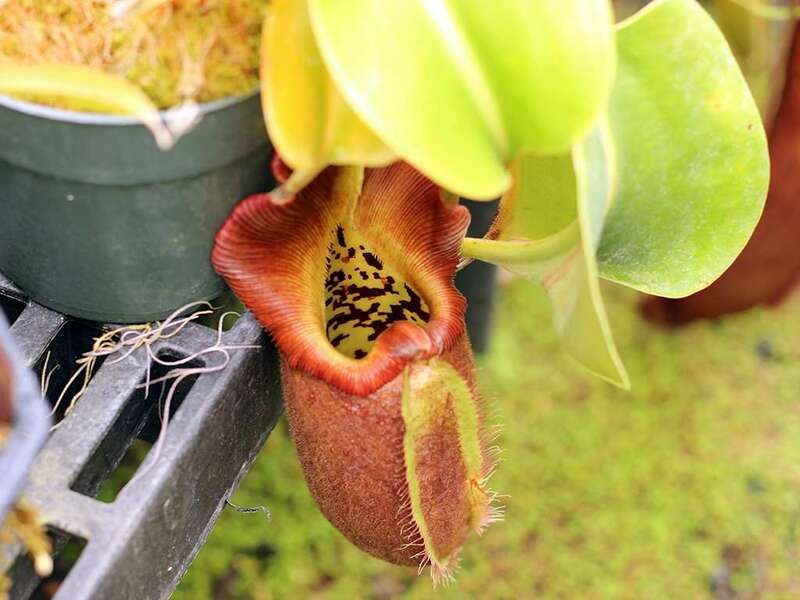 The offspring tend to flower at 3 years of age, much younger than the first generation N. robcantleyi parents at 10 years, and have shorter inflorescences (flower stalks). 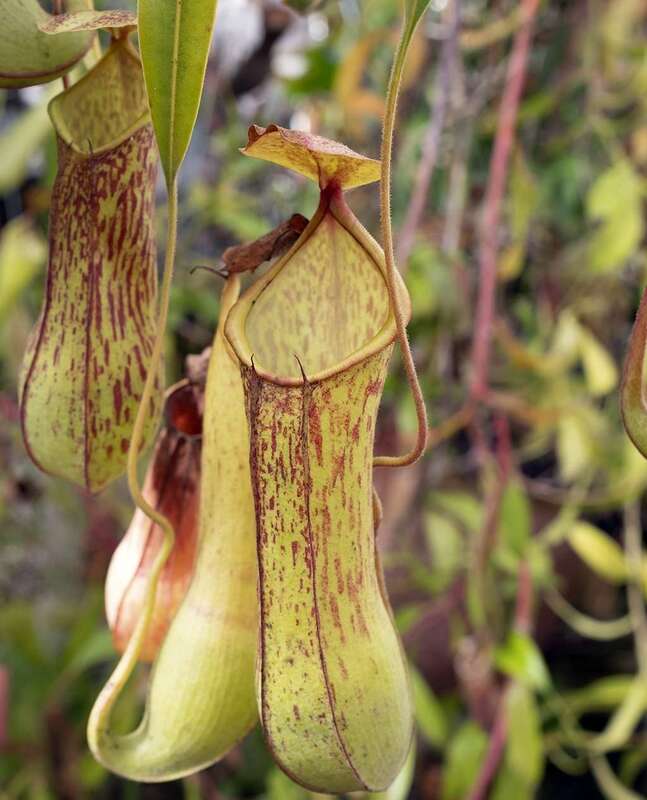 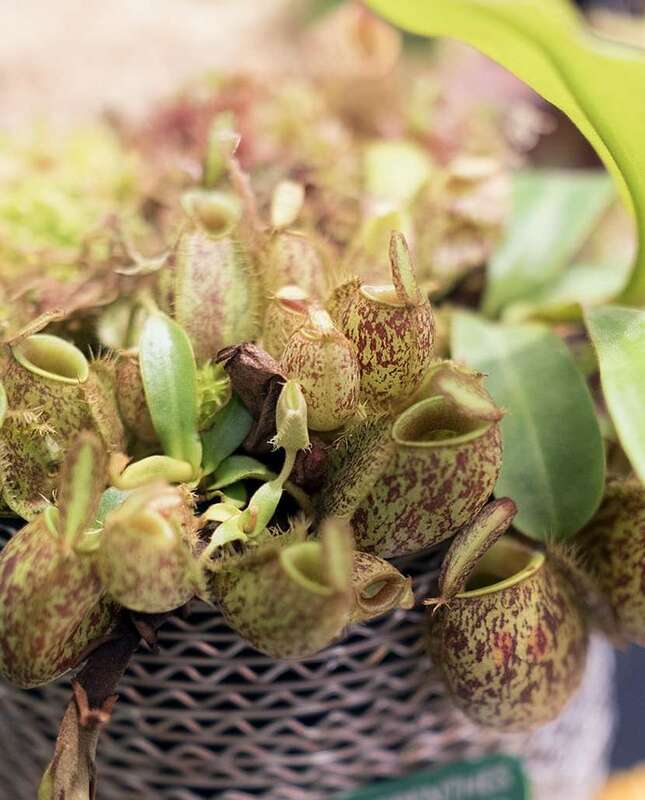 In the end, they conclude that the plant under examination should be referred to as Nepenthes x robcantleyi (the “x” indicating that it’s a hybrid) and, in fact, highland varieties of N. truncata are also simple hybrids of N. truncata and N. nebularum. 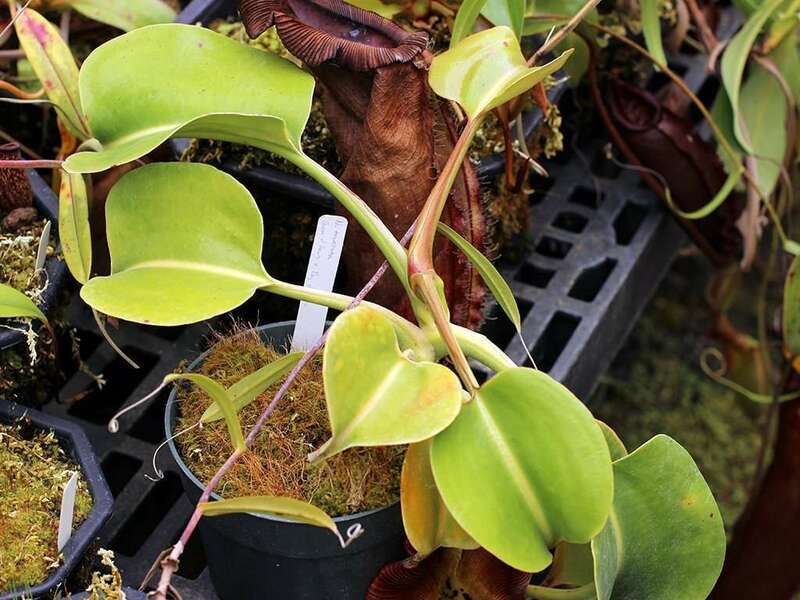 Will somebody sign these plants up for a paternity test?! 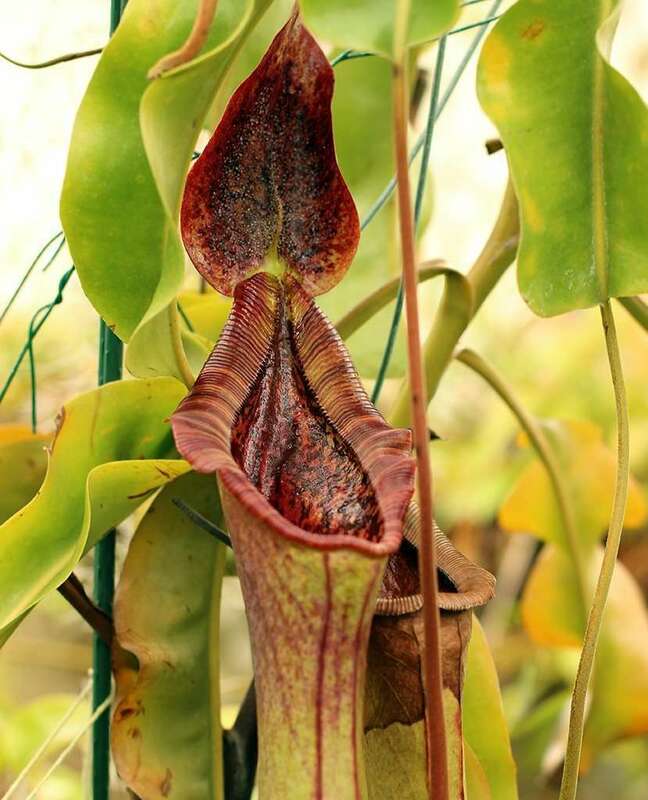 Pitchers can get over a foot tall (40 cm) and 4 inches (10 cm) wide. 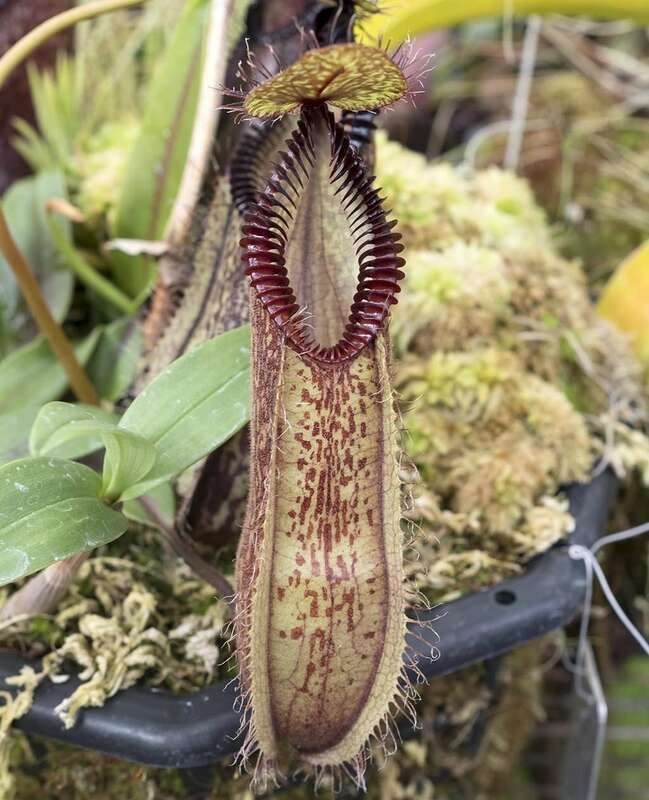 They are cylindrical and chunky with red-brown to black pitcher bodies, and a huge flared peristome that terminates in a wavy outer margin and ribbed “teeth” on the inner margin. 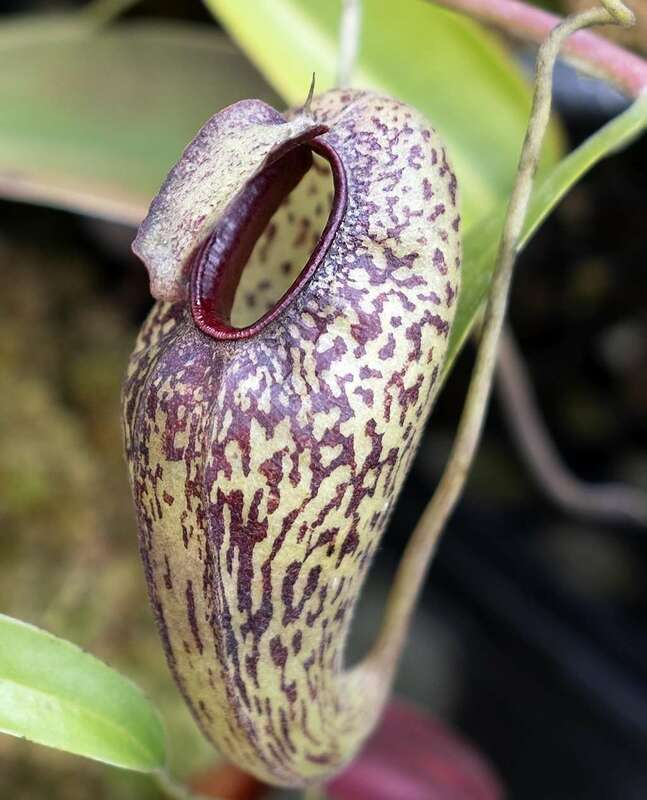 This persitome can be 3.5 inches (8.5 cm) wide, is deeply ridged, and is usually as dark or darker than the rest of the pitcher. 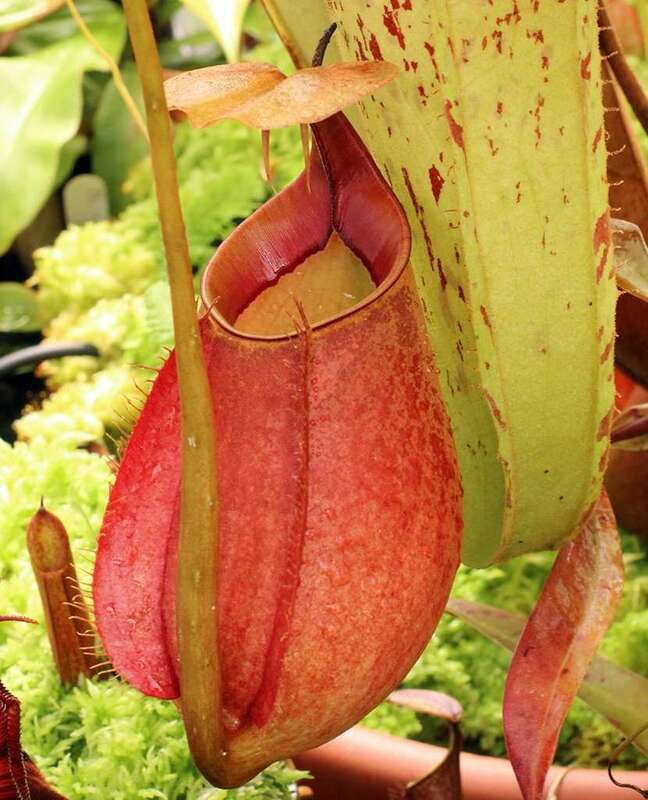 Pitcher interior is largely green and blotched in deep red with a glossy appearance. 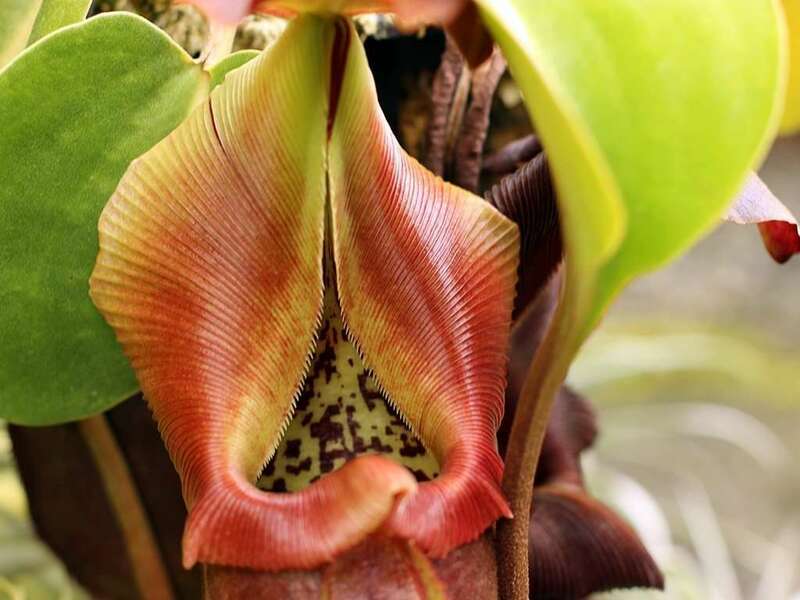 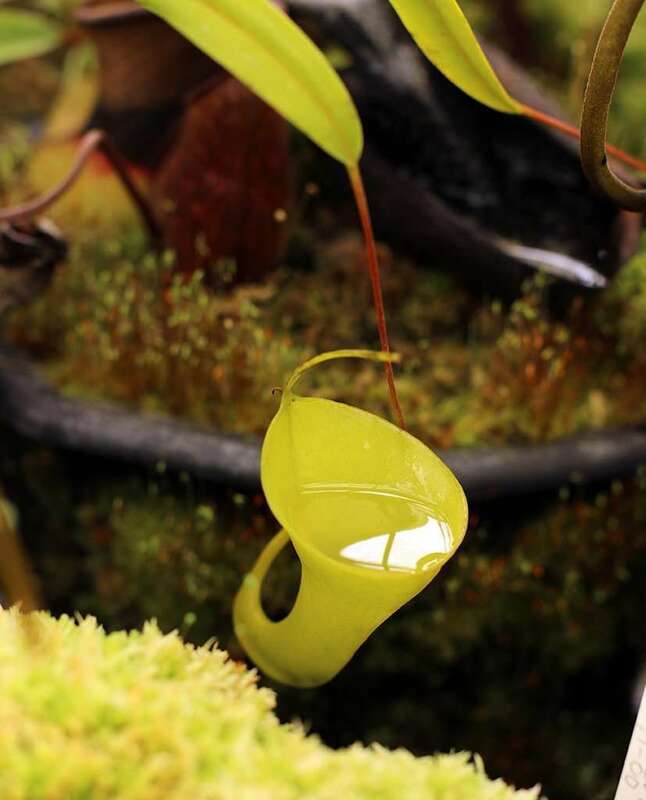 Oddly enough, Nepenthes robcantleyi does not produce upper pitchers. 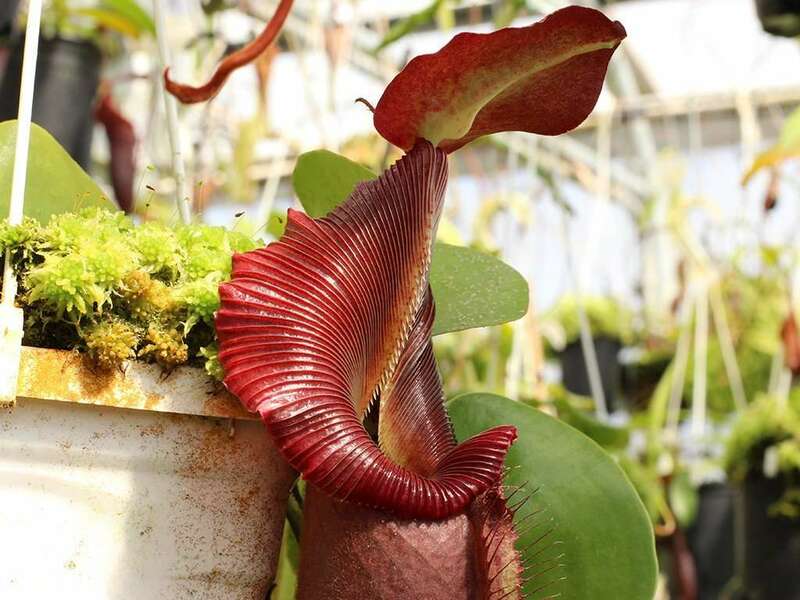 Inflorescence, or flowering stalks on Nepenthes robcantleyi are the largest known in the carnivorous plant world, with male stalks approaching 7 feet (2.13 m) long. 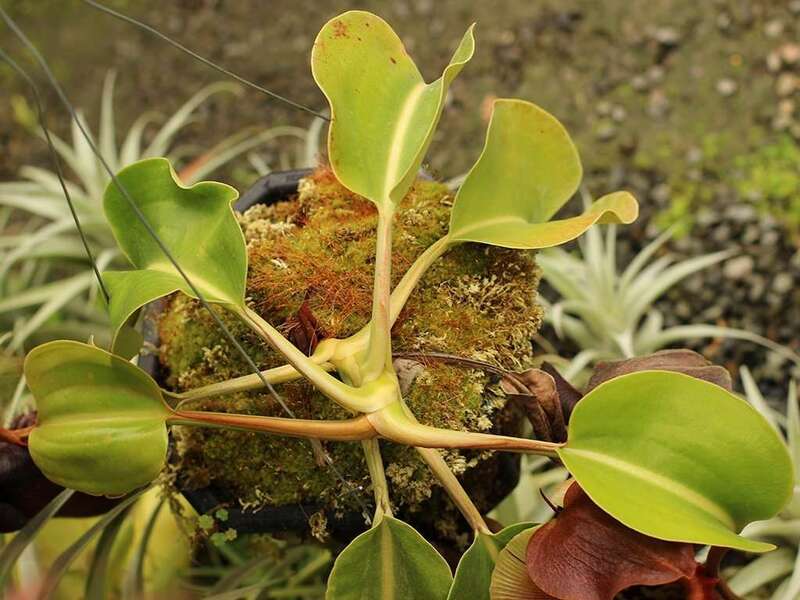 Leaf morphology is similar to that of N. truncata, with truncated leaf ends that appear almost squarish in shape. 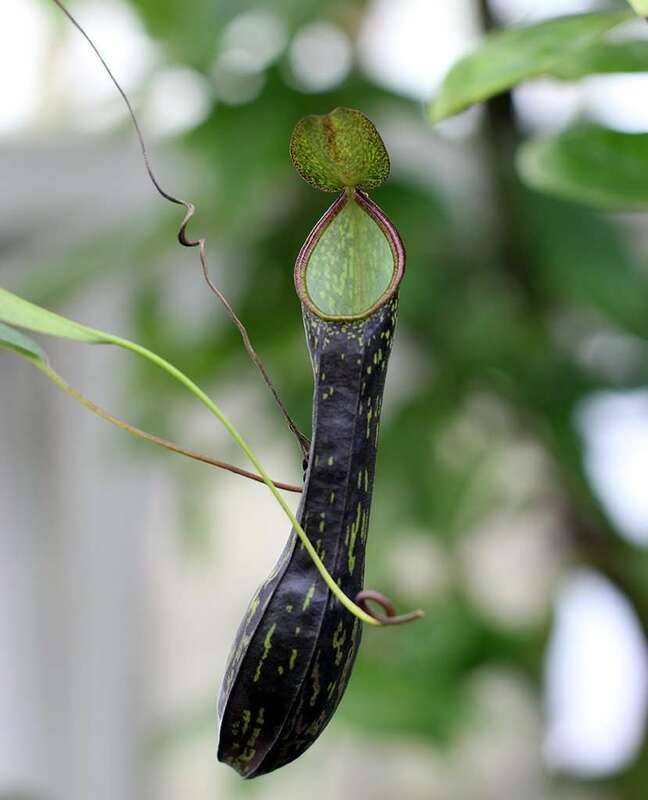 The plant doesn’t vine much, maxing out at a stem length of around 3 feet (0.9 m). 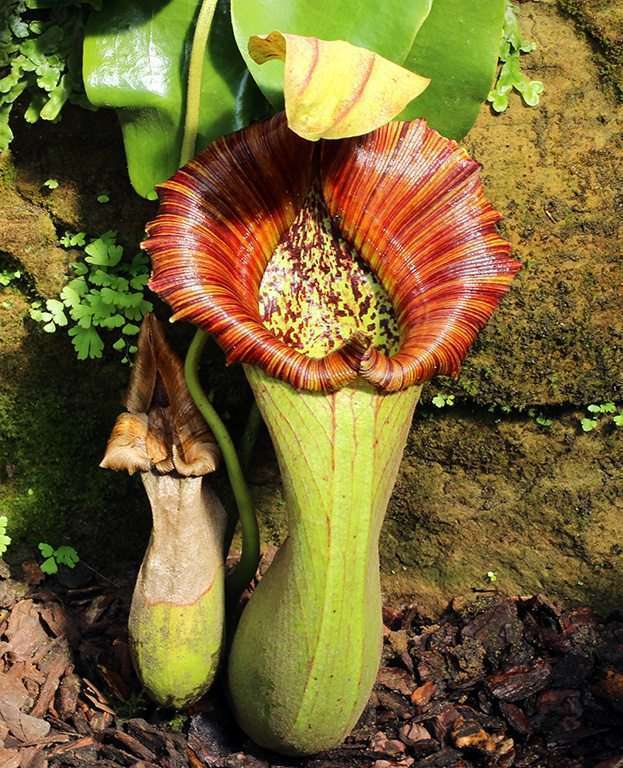 Unfortunately, these plants are thought to be extinct from the original site where they were discovered. 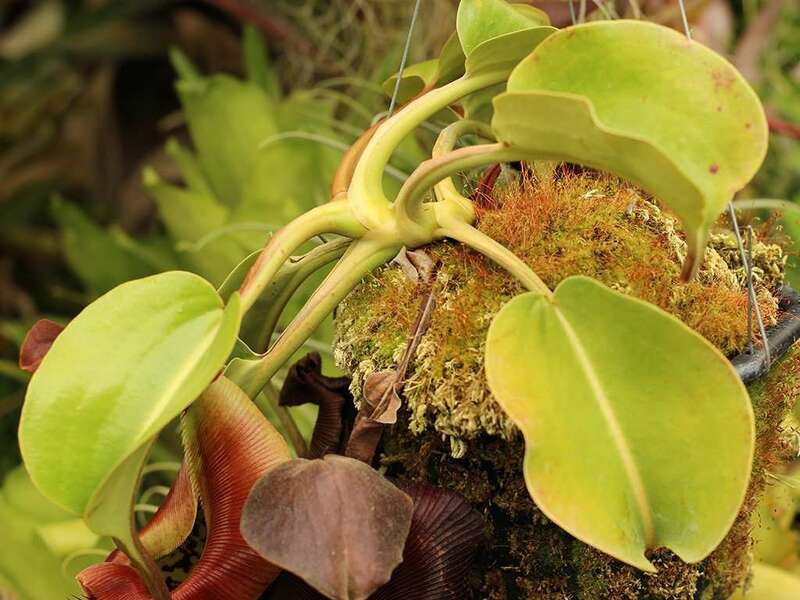 That said, explorations in 2011 by Andy Smith and colleagues, and 2013 by Wally Suarez are thought to have rediscovered the plants in the wild, mostly as epiphytic tree-growers.